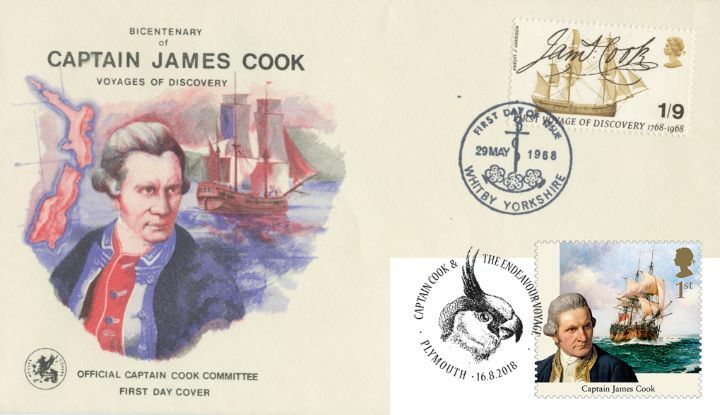 Notes: These covers were originally issued in 1968 to mark the 200th anniversary of Cook's voyage. I only have a few of these and the postmarks may well vary to shown. In SOME cases, in order to create these double dated covers, I have needed to cover up the orignal addresses with white labels. 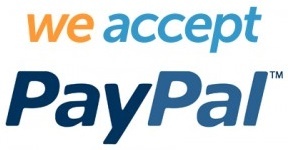 This is necessary in order to make room for the 2018 Cook stamp and postmark. The above Royal Mail Captain James Cook stamps were issued on 16 August 2018 by Royal Mail and feature the following stamp designs: 2nd Joseph Banks; 2nd Chief Mourner of Tahiti; 1st Captain James Cook; 1st Transit of Venus; £1.45 Maori Chief; £1.45 Sydney Parkinson. The Double-dated cover No.4 first day cover with the Plymouth, Cockatoo, Special Handstamp postmark and features these stamps which can make a very collectible and lovely gift.